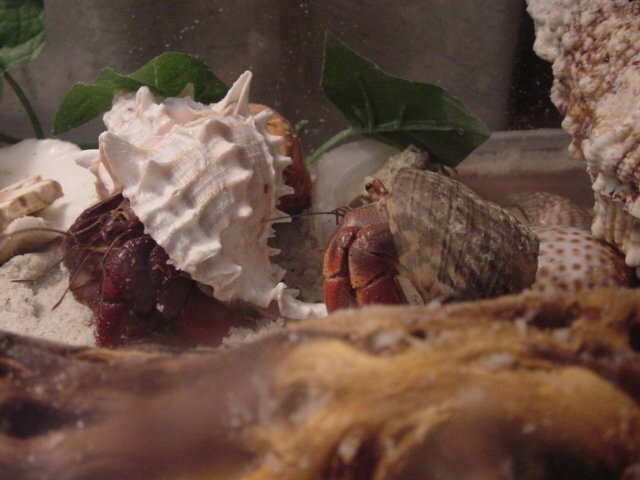 Hermit crabs do communicate. They often make gestures with their feelers and make grunting or chirping noises. Usually they make sounds when they are annoyed or sometimes excited. The source of which they make these sounds is still unknown. It is kind of like the mystery if the cat’s purr. I find my crabs are pretty quiet, except for the scratching noises from in the crabitat at night.